I asked a question Yesterday about my facebook ads data, I can't find it now. how can i find it thanks. i posted yesterday also, but my post disappeared and it is not under " account"
lottalead wrote: i posted yesterday also, but my post disappeared and it is not under " account"
The "View my posts" link got moved, so it's no longer located under the Account Menu. 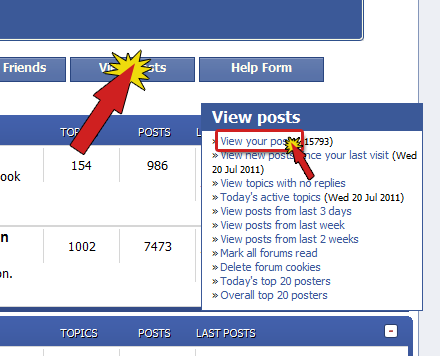 The link can now be found in the index, after clicking the "View Posts" button below the header.